Did you know that April is National Decorating Month? What better time is there to revisit the quilts you’ve lovingly made and put them on display—or make new ones! 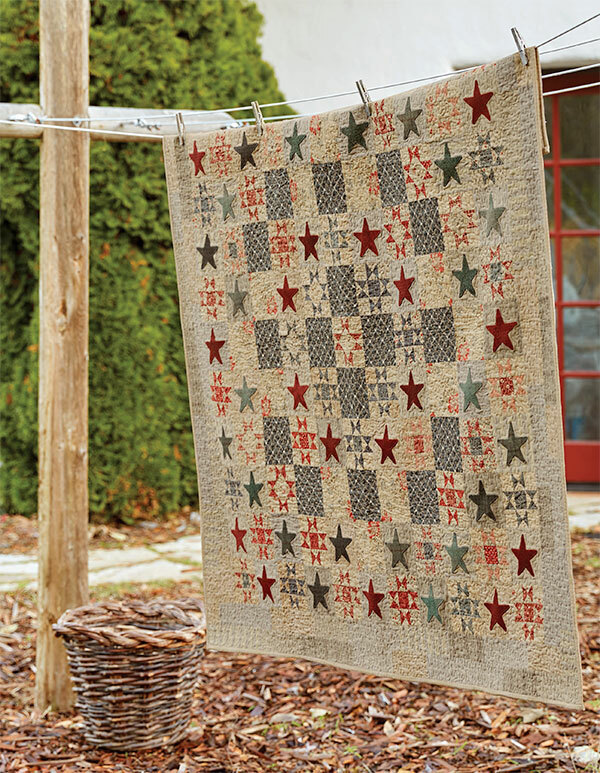 We’ve rounded up some fun and unique ideas for decorating with quilts below; we hope they’ll inspire you to show off your quilts. Why? Because if you made them, you’ve earned a show-and-tell—give ’em some space to soak up the compliments! 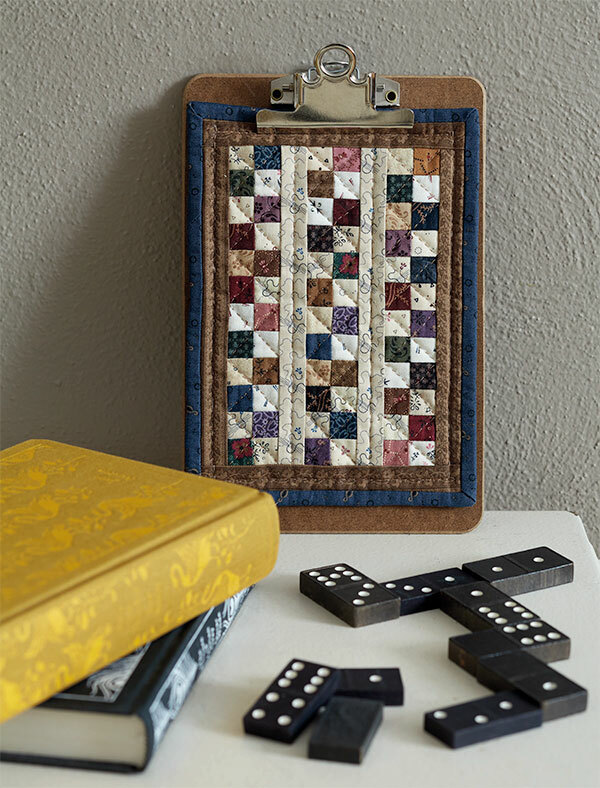 How about a mini-quilt wall dedicated to your tiny treasures? You don’t need a bed-sized quilt to make up a quilty bed! And our quickest quilt-decorating tip? 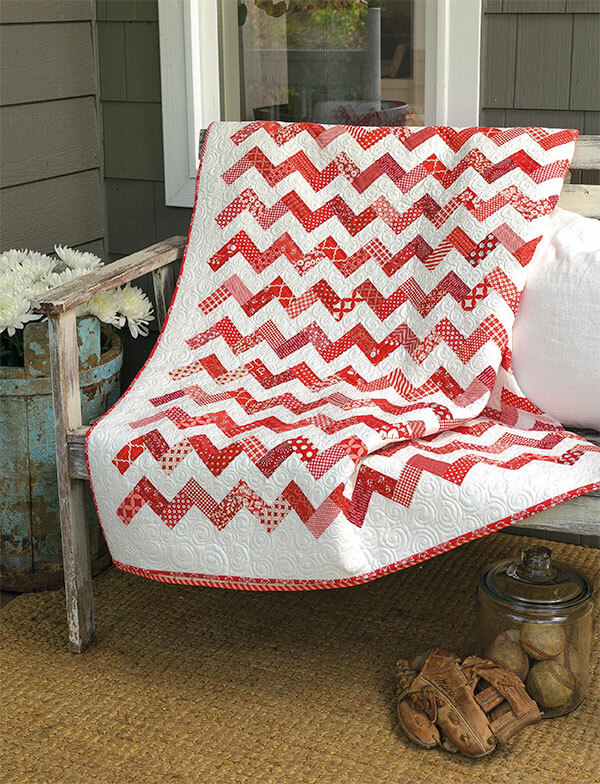 Drape a quilt near a seating area, indoors or out—easy, fast, fabulous. 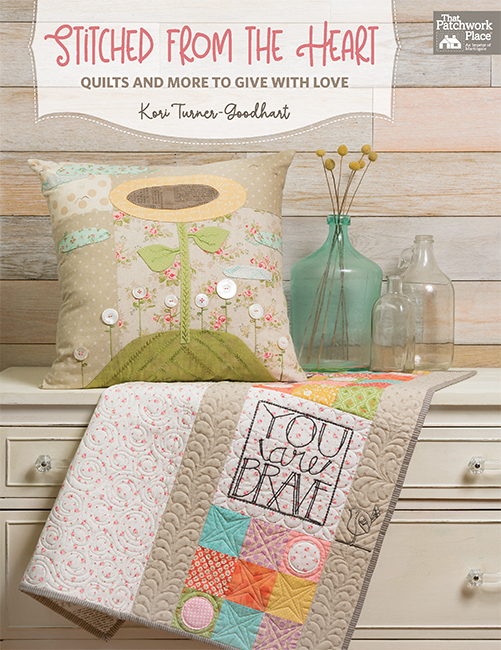 We hope these ideas will inspire you to unfurl the quilts you love and give them the spotlight! 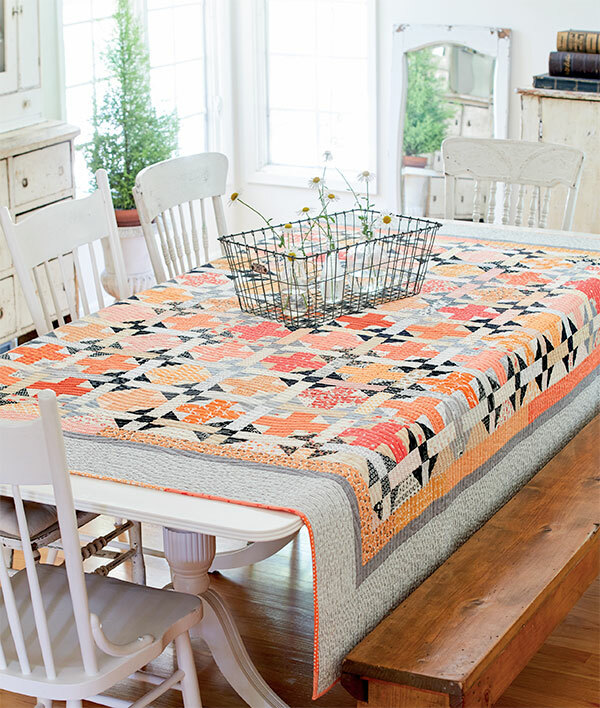 How many quilts currently help decorate your home? I need to make a quilt! Creative quilters 💕 That time our editor repurposed a quilt on Instagram . . .
I’m counting more than 10 and I still need to make more! Lol! Seven in the city house; six at the lake house. 6-10!! 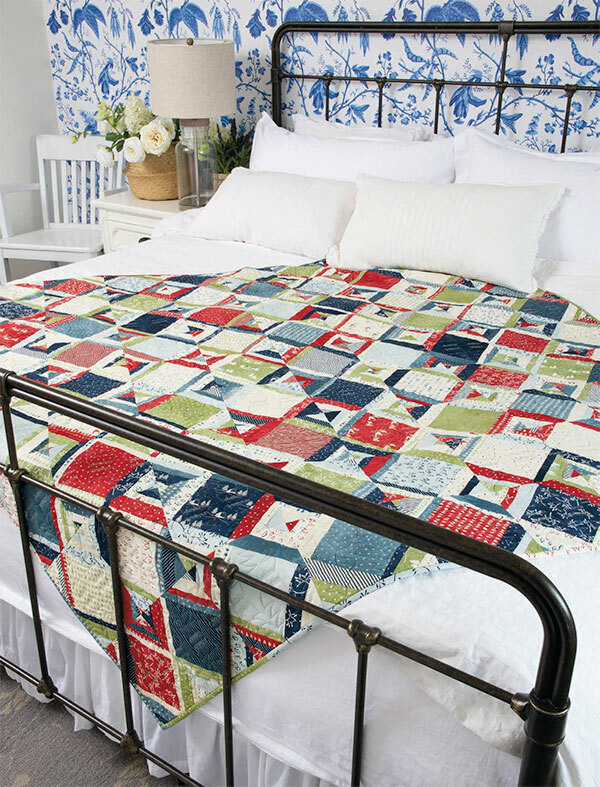 Love the look of quilts. Most of mine are small quilts. When my daughter was 12 she went around our house and counted 60+ quilts on walls, beds, cabinets, couches, etc. It brightens up our space so much, and we are never cold in our house! I currently have 3 quilts that are decorating for spring. I wish I had more. I need to retire soon so I can so as much as I would like. More than 10 that include ones I made and ones made by grandmas. Also have cross stitched and hardanger items. More than 10! Four are displayed over the half wall from the loft. Several are on quilt stands. One in a basket, one on the dining room table, and many here and there. I have 5 quilts. One on a bed and the other 4 on a ladder. I have several in the works. 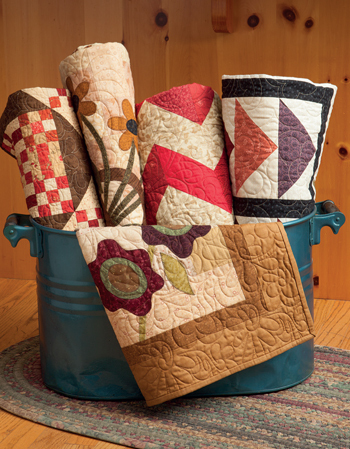 I love the idea of putting quilts in a tub like the one pictured above in the corner. I display as many quilts (10-15) as I have space, from full size to minis. I usually rotate them with the seasons or holidays. One can never have TOO many quilts displayed can they? Well, maybe there is a limit out there somewhere. 10 or more for sure. I love to change them out with the seasons. When fall rolls around… look out. I like to make the smaller ones as much as the big one’s so I have a pile. There are 80 quilts helping me decorate my home. All sizes and colors and patterns I’ve hand quilted. I love hanging them on walls and every so often I take them down, fluff them in the dryer and hang them someplace else to make the rooms look new and different. If I need a quick gift for someone, I’m ready. 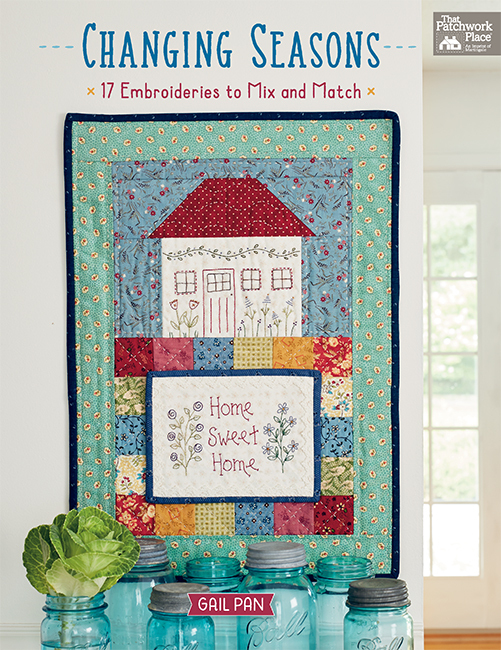 I have more than 10 quilts decorating my house! Quatre dans le salon et un sur chaque lit… C’est un minimum ! I have about 10 quilts decorating my home – some small and some large. I probably need to get busy and make more as I still have room to decorate with them. I have 16 hanging downstairs in my kitchen, family room, living room and entry. None hang upstairs in my sewing room and the bedrooms. I have between 1 – 5 quilts decorating my house. I plan to make more wall hangings for decorations. I have about 10 quilts on my walls but none on the bed! I change out the wall hangings a few times a year and group some of them by color. There are 12 quilts of various sizes on display in our home. I was surprised when I counted them up how many there were! I definitely have more than 10. These are some great display ideas! I currently have more than 10 quilts displayed in my home.! 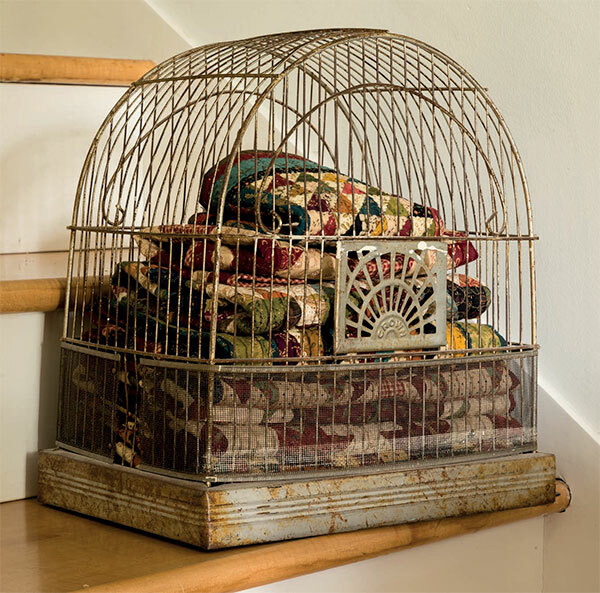 6-10 – wall hangings, draped on sofa, table runners and placemats. I currently have 5 finished quilts throughout the house one on a bed the rest on the back of chairs. However I have quite a few unfinished hanging around the house and my sewing room. I have 9, inluding the ones on beds! I have 7 around the house. Usually around 10 quilts that I change seasonally around my house. I have approximately 15 different size quilts displayed. When I showed my niece my quilts, all folded in a closet, she said "These are art! Let’s display them!" So out they came, and she helped me hang them all over my house. I haven’t counted, but there are probably around 40 of them, some of which I change out seasonally. They always wow my guests! 6-10 quilts are displayed in my home right now. My husband made a tall ladder that holds a dozen large quilts easily. I have 12 quilts hanging on walls. I have about 30 different table runners. There is a California King quilt on our bed. I use bed runners on the back of my couch and two large chairs for my cats to use as they watch the outdoors or to sleep. I have 4 quilts hanging in my husband’s longarm room. And a dozen more waiting to be quilted. I love to quilt. I change my table runners every month! More than 10 😊 . I have them I every room except the bathrooms !! I have about 10 quilts scattered around the house. Much more then 10 😊. I have 19 quilts on display not counting 3 on beds!! I am currently working on James River Crossing. Love the little Italian blocks. How many in my home? Lets say I could change them out every few days. I have more than 10. I don’t know how many I have. Counting the ones I have made and the ones from my family. About 60, large and small. Hanging on walls – my husband says we have padded walls. 🙂 Backs of the couch / chairs. Tabletops. Folded in a chest. More than 10 in Every room including bathrooms. 6 to 10 quilts decorate my walls. Running out of wall space. I usually have between 5 and 10 quilts decorating my house. I always have three bed with quilts and then the places for them changes. I have an vintage clothes drier in one room that is layered with small quilts. I like to display my creations. Right now, I am in the 6 – 10 range (7, to be exact). Love the clipboard idea; great for decorating a work cubicle. 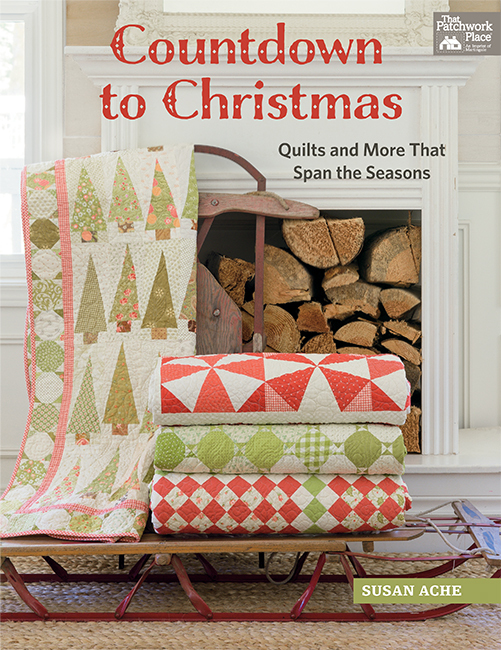 I usually have 20 to 25 quilts decorating my house & changed with the seasons. usually at less one is an antique quilt over a couch. I have been quilting over 40 yrs & have approx. 200 quilts in my house including at less 30 antique quilts. More than 10 quilts decorate my home. I have quilt racks, quilt ladders, and then of course several on the walls and bed in my home. More than 10, love my quilts! I only have three quilts on three beds plus a couple small wall hangings. My house does not provide good hanging space, but if you open a kitchen drawer, you’ll find enough quilted potholders to last a lifetime. More than 10 for sure! Quilts and wall hangings are in every nook and cranny. Good thing my friends are all quilters or they might think I’m crazy! 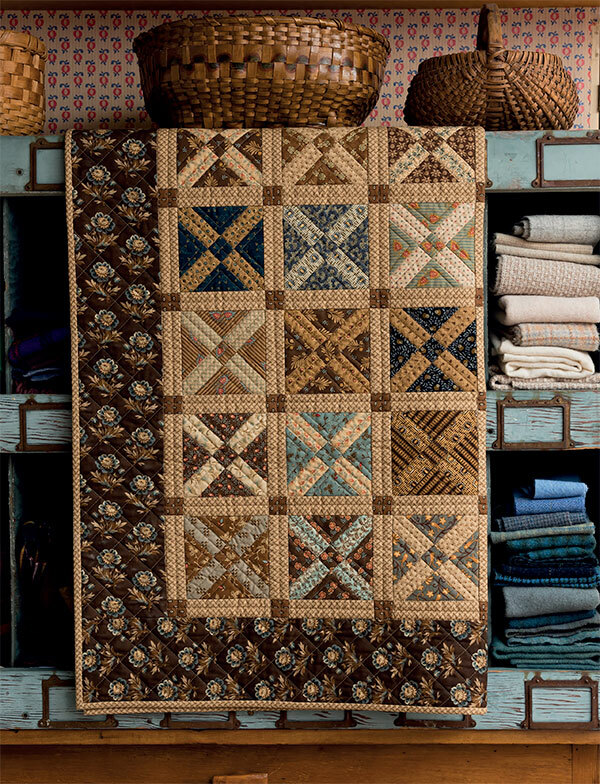 More than 10…..My home is neutral colors with the quilts taking center stage with colors. Love my quilts !!! I knew there were 10 or more, but I counted to get an exact number. I have 34 hanging. Some are on the wall and some are on clips, etc. There are both small and large quilts. That number does not include quilts over the backs of chairs or sofas. Wow! Even I am surprised there are so many. Great Question. BTW I think I will have to put a clip board to use. Thanks for the idea. I have one that my grandmother made and I need to make one. A lot more than 10. Here, There Everywhere. On the bed, On the wall, on the table on the chest, framed and in a glass case. My mother stayed with me over the winter and went through my house counting. I figure if you make them, display them. They are to be loved and in plain sight. I change them out seasonally so I can enjoy them to the fullest. More than 10 and I DO have some in one bathroom and one planned for the other! I have more than ten quilts, and that’s just in my living room! 6-10. Always looking for more places to show them off. I have lots of quilts in my home. Every chair has one either folded on arm or over the back. 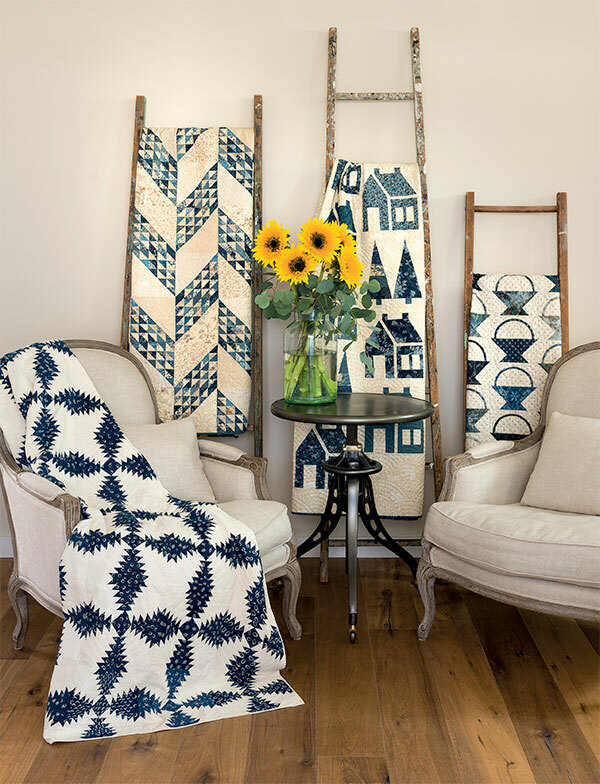 Quilts as wall hangings and some on ladders! And I love to open the closet where I have extras!! It gives me joy!! At least 6-10 most of the time. Sometimes more or less just depends on my mood!! Currently 11 quilted projects are on walls, sofas, tables. I have about 4-5 quilts (4 on display on a quilt rack) and 1 utility quilt on the couch (my first quilt). Oops, I do have 3 mini quilts hanging in my sewing room, too. More than 10, and then there are the ones in the closet. 6-10 with more coming along as BOMs. I am so impressed with how many responded 6-10. I have 3 quilts out and about in my home now. I should step up my game. 7 but most of them are small wall hangings or table toppers. I have 21 in my bedroom right now. I would need to walk around my home to count the others currently on display. Way more than 10! I love my quilts and I simply can’t stop sewing! I have 8 out but have some I change every month. Two on prominent display: one was my late grandmother’s first quilt-hand-quilted and made especially as a gift to me and the other was made by my husband’s late great-grandmother, also hand-quilted. Most of the things I make are given as gifts to friends or people in need. More than 10, I love the decorating ideas. I’m on my way to the attic to get my bird house right now!!! More than 10, I love the decorating ideas. I’m on my way to the attic to get my bird cage right now!!! 9 quilts so far. I can envision using many more based on the wonderful ideas and photos in your blog! Around the house I’m in the 5-10 category. But when I enter my sewing room the numbers increase as I like to tack up small quilts around my design wall for enjoyment and inspiration. Many more than 10! I just can’t stop making them! I have 11 on display (wall hangings, table runners and lap quilt) more in a basket and 2 on the beds. 5 presently. I rotate small wall hangings seasonally. Also keep a table runner on the dining room table and rotate it with the seasons. 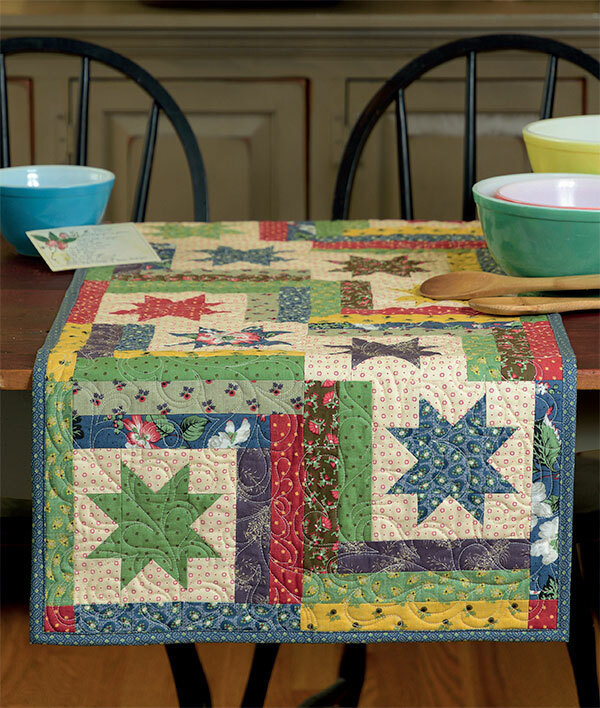 Your article has given me the idea to show larger quilts on my table. More than 10 with more in progress. About 10are currently on display with quilt racks and beds. 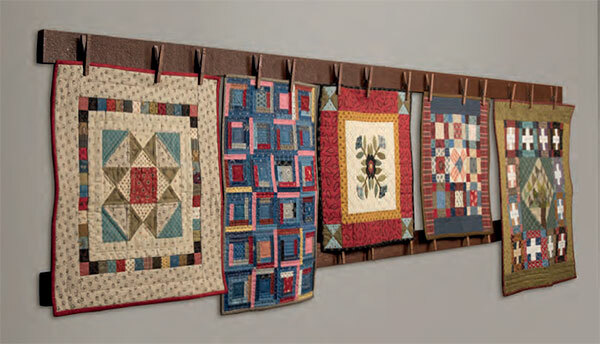 There are 11 quilts hung on quilt racks or on beds in our home. A couple were gifts and a couple were made by my mother. One my husband inherited. The remainder, I made. I have about 10-12 throughout the house. Lovely!! I rotate several quilts on display on my front door. I m making a quilt to grace the guest room, and one hangs on the wall of my living room. I need to make more quilts! There are 6-10. I rotate several with the seasons. Only one. The corduroy and flannel(backing) quilt my grandma "Pete" (short for Peterson) made for baby me. More than 10, my husband says he can spot 14 from his Recliner. I love to have the quilts on display, such a homey feeling. Three! Guess I need to get busy stitching!! A quick count of large quilts are more than 10 then there’s the small ones on walls, too. I’d love to finish a few more minis or smaller quilts for decorating. Well over 80 seasonal/holiday quilts decorate my home both inside and out ,so love displaying my pretties! What I make now I share with family and friends!